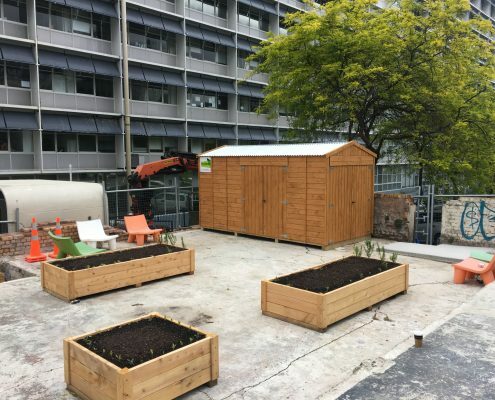 They needed an eco-friendly shed to go with the look and feel of the gardens. 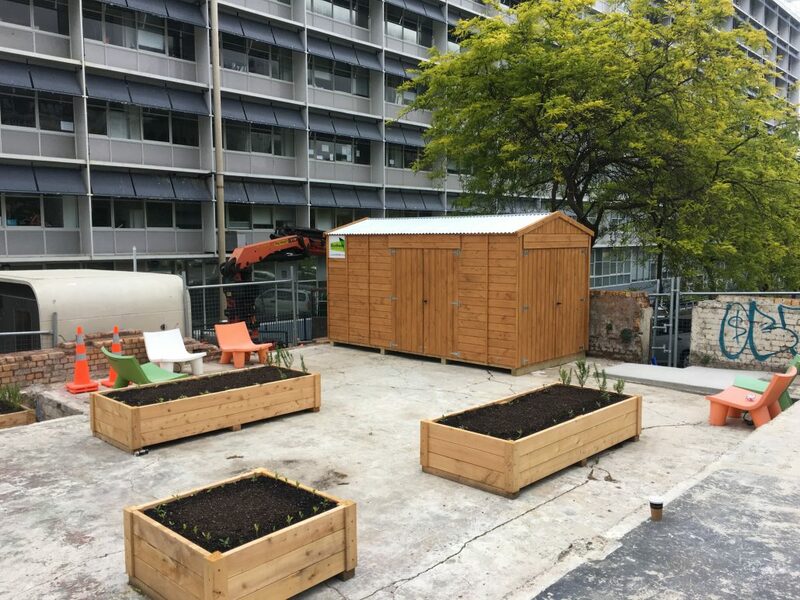 The team putting these gardens together already had some good ideas about what they wanted in a shed and in the end decided on a simple design with plenty of easy access for the various purposes it was likely to be used for. 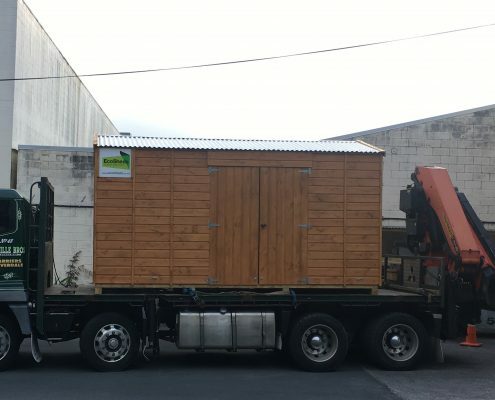 The team had quite a short timeframe for the shed to be placed onsite. 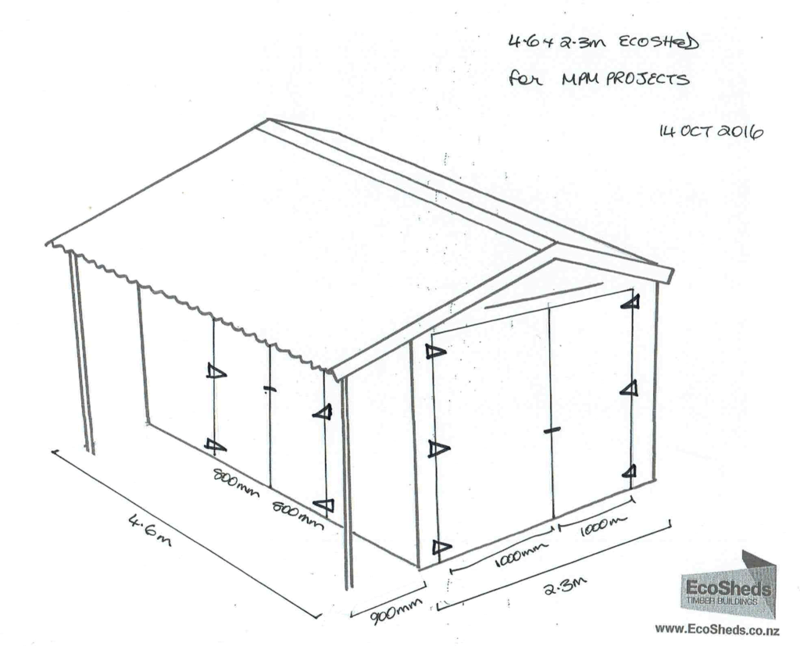 And due to the complexity of the gardens, the EcoShed had to be one of the first things onsite. 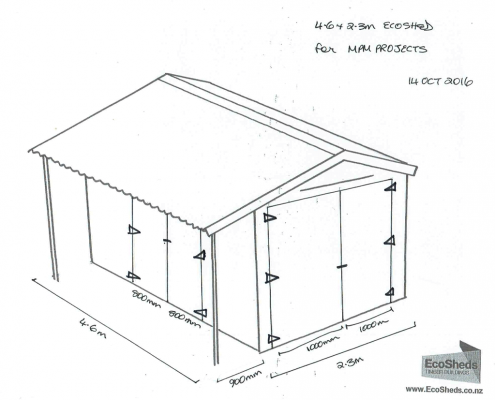 4.6m x 2.3m EcoShed with two sets of double doors, one set had 2 x 1m doors. 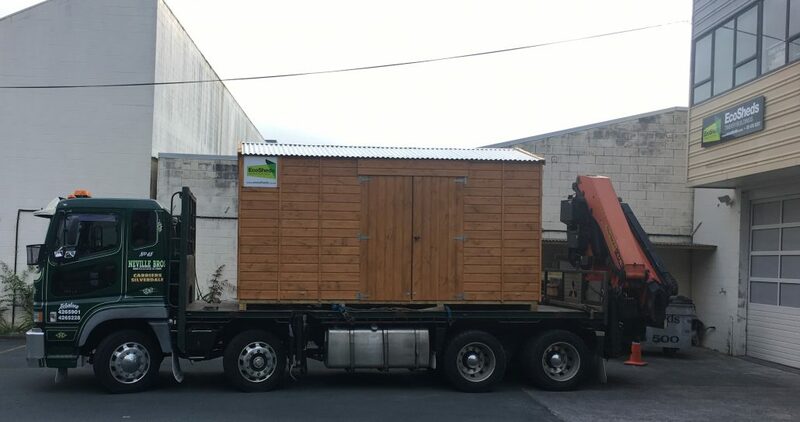 The two sets of doors were installed to let in plenty of light as the team did not want windows for security reasons. 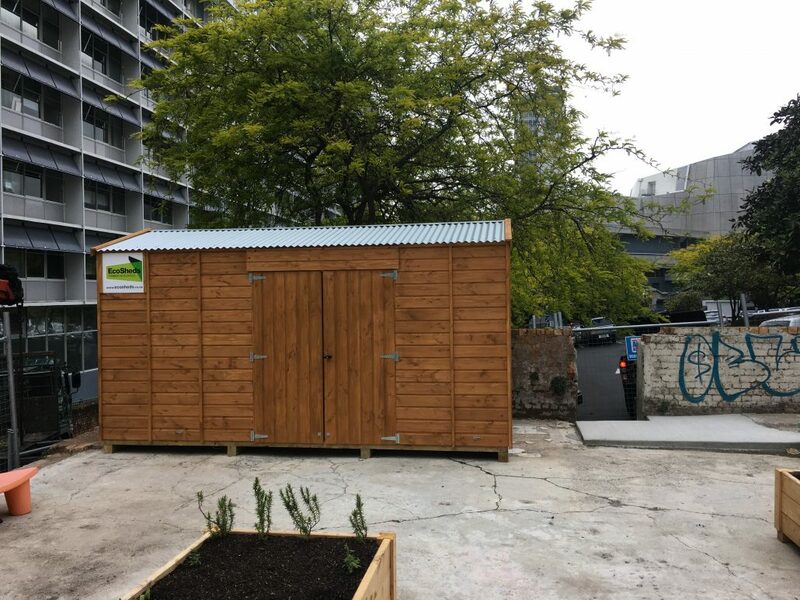 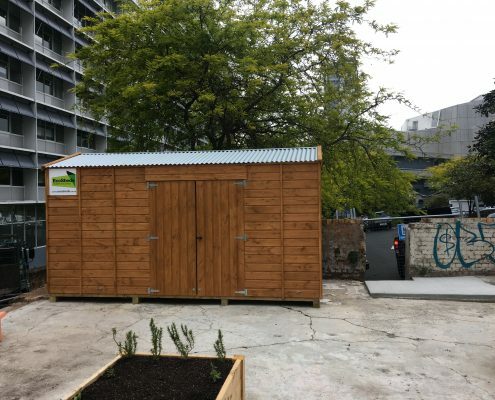 The shed needed to be set in the corner to act as a barrier for visitors so the shed was built at our premises and then hiabed into the city on a Saturday morning to avoid the busy workday traffic.